Dallas, TX – November 12th, 2018 – 10Gtek, as a leading data center interconnect supplier and online retailer, shows at SC18 launching more new technologies. Besides the most accepted 10G/25G/40G/100G transceivers, optical and copper cables, 10Gtek brings samples of 200G&400G QSFP-DD, like SR8 module, QSFP-DD loopback, QSFP-DD DAC cable etc. 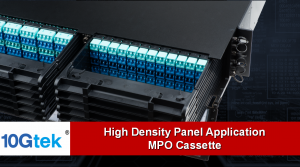 Also, high density panel application for data center MPO Cassette has displayed, which employs the patented adapters with auto anti-dust design. Check all details, welcome booth #4419. And, Spectra7 Microsystems Inc. (TSX:SEV) (“Spectra7” or the “Company”), a leading provider of high-performance analog semiconductor products for broadband connectivity markets, today announced that 10Gtek has begun offering active copper cables (ACCs) using Spectra7’s revolutionary GaugeChangerTM technology. Additionally, 10Gtek ACC cables with Spectra7 technology will be showcased at the SuperComputer 2018 (SC18) show at the Kay Bailey Hutchison Convention Center in Dallas, TX from November 12-15. GaugeChangerTM is an innovative and disruptive technology that allows copper to extend much longer lengths without the cost and power penalty of optics. 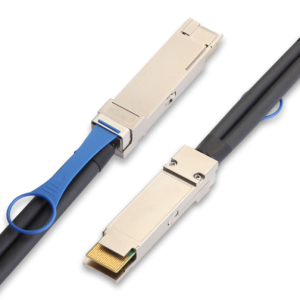 It works equally well at 25Gbps NRZ and 50Gbps PAM4 enabling new connector standards of 100/200/400 Gbps. 10Gtek is a top-10 manufacturer of passive direct attached cables (DACs) used in data center applications. 10Gtek’s DAC offerings include: SFP28, QSFP28 and soon QSFP-DD. Bringing together this technology and know-how with Spectra7’s GaugeChangerTM embedded ICs offers up to 12 times less power and significant cost savings over optical solutions for data center customers. 10GTek will be showcasing products with Spectra7’s GaugeChangerTM technology at Booth #4419.
nfl jerseys authentic'blog on Cisco Huawei aggressive counterattack, which is a positive signal!